1 Bedroom Semi Detached House For Sale in Wells for £230,000. Great things come in small packages! 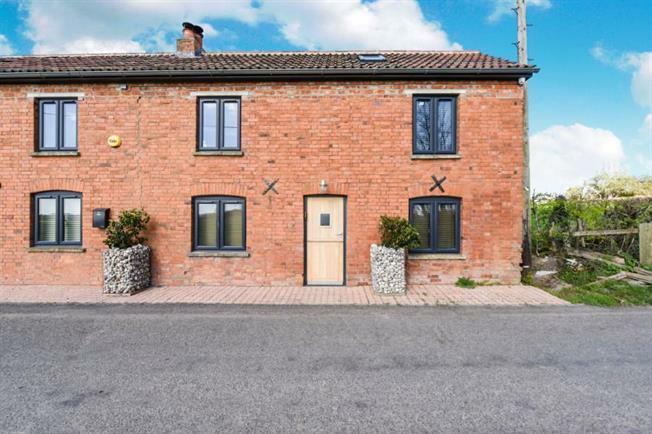 And there is no finer example of this than this beautiful one bedroom semi-detached cottage that offers panoramic countryside views towards Glastonbury Tor. An idyllic rural setting, but with a host of modern touches that only serve to compliment the natural charm of the period this property originates from. An outstanding opportunity for a first time buyer or investor. Call now to view! Open plan, and all the better for it! The ground floor makes the most of the space offered to allow the eventual owner dine, lounge and cook in comfort. The bespoke fitted kitchen has the benefit of built in appliances and a view from the window of the Tor. The living area once again boasts the superb view, but also offers an attractive wood burner for those cosy winter evenings. Either side of the landing you will find doors that lead to a really attractive double bedroom and shower room. The bedroom has a velux window, as well as a window to the front offering far reaching views. The bathroom has a luxury suite that includes a walk-in shower, velux window, WC, pedestal wash basin and a window offering you guessed it - views!